Given that 2011’s Zonoscope was one of our favourite of that and recent years, the news that Cut Copy were returning with some new tunes stirred up no small amount of excitement here at Alphabet Towers. The news that their new track, “Let Me Show You” was only available on 120 hand numbered and named ltd edition 12” records, pressed on site at the Pitchfork festival recently sounded really cool, but was also annoying as it meant we couldn’t have one. Then someone posted a video of them playing the vinyl and we forgot our annoyance and just enjoyed the track in all its glory. It’s like someone has thrown a bunch of genres into a synth-blender and fired that baby up, making a trippy, swirly smoothie of electro goodness. If each one of our five a day was this delicious, we’d end up overdosing. As if that wasn’t enough, they have now released an official video for the track with studio recorded audio and it’s more hypnotic than a thousand Derren Brown’s. 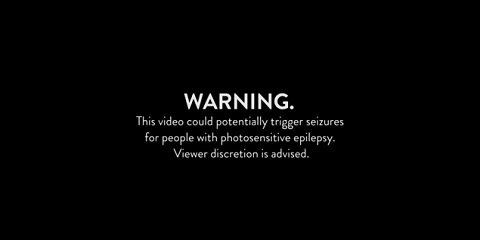 It comes with its own warning for people who suffer from photosensitive epilepsy as it will probably cause a reaction quicker than Japanese seizure robots. If you are able to watch the whole thing let us know what happens. When we watched it we had intermittent moments where we could see two letters or no letters at all, instead of one, and even a bit where we thought we were travelling through hyperspace or were the 12th Doctor. Not once did we see a sailboat though.